The Unraveling of Violeta Bell by C. R. Corwin, a Mysterious Review. Review: C. R. Corwin's third mystery featuring Maddy "the Morgue Mama" Sprowls, The Unraveling of Violeta Bell, finds the newspaper librarian investigating the murder of an elderly antiques dealer. Every Saturday at 8 AM sharp, a cab picks up a group of four elderly women who takes them on the rounds of garage sales in the area. These "Queens of Never Dull" pose an interesting human interest story, or so believes Maddy, who suggests such a story to her editors. The women eagerly agree to an interview, and what a diverse group they are. One is a wealthy widow who was once a strip-tease artist, another is a real estate agent, a third is married to the owner of a pest control company, and the last, Violeta Bell, the self-appointed leader of the group, is the retired owner of Bellflower Antiques. But Violeta actually believes she is a Queen, a member of the royal family of Romania. Just days after a story of the group is published, Violeta is found murdered, shot three times at close range. What threat did this old woman pose that someone found it necessary to kill her? The Unraveling of Violeta Bell is an engaging, delightful mystery. Maddy, at the tender age of 69, still thinks she is, and acts like, a teenager: stubborn, opinionated, and sassy. When the ladies' cab driver is arrested, Maddy's editor-in-chief asks her to investigate. He has a circuitous family relationship with the driver but believes him to be innocent. Maddy quickly learns that Violeta led something of an active double life, the Queens of Never Dull were certainly not dull themselves, and Violeta's antiques were far more modern than she claimed. Though suspects abound, Maddy finally narrows down the list and creates a shrewd trap to identify the culprit. 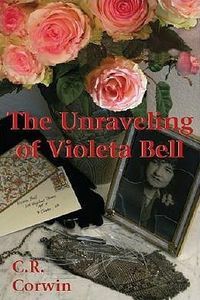 Witty, clever, humorous, and genuinely entertaining, The Unraveling of Violeta Bell is a real treat for mystery lovers. It is highly recommended. Special thanks to guest reviewer Betty of The Betz Review for contributing her review of The Unraveling of Violeta Bell. Acknowledgment: Poisoned Pen Press provided an ARC of The Unraveling of Violeta Bell for this review.